In an ordinary month, the fact that there are sub-2.9% mortgage rates floating around would dominate the headlines, but it is no ordinary month in the world of mortgages – the Canada Mortgage and Housing Corporation (CMHC) made sure of that. Last week, the Crown Corporation’s new premiums took effect, which added 15% to the cost of mortgage insurance on home purchases with down payments of less than 20%. Then – without warning – the insurer also dropped its Second Home and Self-Employed Without Third-Party Income Validation programs. In other non-news, the Bank of Canada left the key interest rate at 1% for the 29th time and declared the new neutral is lower than the normal neutral. Now that that’s out of the way, let’s get to the good stuff. The higher mortgage insurance premiums that took effect on May 1st will potentially add a couple thousand dollars more onto your mortgage (new purchases only; it does not affect existing mortgages). Fortunately, this amount spread out over the life of your mortgage only adds approximately $5 to the average Canadian homebuyer’s monthly mortgage payment, as explained in more detail here. Unfortunately, the next round of changes announced by the CMHC the week before the new premiums took effect are a little more devastating for certain pools of buyers. As of May 30th, 2014, the CMHC is saying goodbye to its Second Home and Self-Employed Without Third-Party Income Validation programs. The Second Home program allows you to buy a second home for yourself or members of your immediate family using essentially the same CMHC insurance features as you would get with a regular purchase, including the minimum 5% down payment and the insurance premium rates. The program also provides a bit of a loophole for cunning real estate investors, as discussed in our blog post here. The CMHC’s official press release stated it, “will limit the availability of homeowner mortgage loan insurance to only one property (1 – 4 units) per borrower/co-borrower at any given time”, thus closing the loophole for second home purchasers and real estate investors alike. We’ve been hearing from the mortgage brokers on our site that it has become increasingly difficult for self-employed Canadians to get a mortgage, and this move by the CMHC will only make things harder. 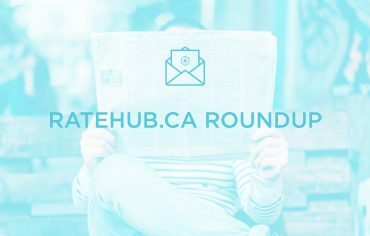 Still, the CMHC asserted with its news release that the Second Home and Self-Employed Without Third-Party Income Validation programs account for less than 3% of its insured business volumes in units, and their discontinuation is not expected to have a material impact on the housing market. The 2.7 million self-employed persons in Canada may feel otherwise! The CMHC has made no secret of its intent to limit its exposure to the housing market, and this announcement marks yet another move to achieve this goal. In fact, the CMHC declared these are merely the first set of changes to come. We can’t predict the future with any certainty, but there is a rumour circulating the insurer is considering tiered premiums based on credit profiles of homebuyers; this would follow the policies of other types of insurance, such as auto insurance. The new CMHC restrictions may be intended to restrain the housing market, but ultra-low mortgage rates are undoubtedly making that a difficult task. The 2.99% 5-year fixed mortgage rate introduced by the Bank of Montreal is old news (literally, because it’s back up to 3.29%), as many credit unions and independent mortgage brokers are now offering between 2.84% and 3.09% Canada-wide. And did we mention our monthly newsletter, which provides an overview of the best of the best in mortgage news? Subscribe here. CMHC Will No Longer Insure Second Homes or Self-Employed Mortgages Without Income Validation What is a Walk Score?